All bands on this page are currently not in service. The page contains information about previous activities. 01.01.12 - Today at about 11am I was able to work W3XO/5 Bill in Texas, 13908 Km, signal up to 5/5 both ways. It was quite amazing to hear a station in the USA coming in on voice, when a lot of the time the band is very quiet. JQ1BVI, JA1QOP, JH0HZO, JH1WHS, JF1LXO, JA3APL, JH1RZY, JH3LBD, JA3EGE, JA5AOA. Numerous Japanese stations. Above Photo - Optibeam OB6-6 (6m) yagi above the Optibeam OB17-4 HF Yagi. 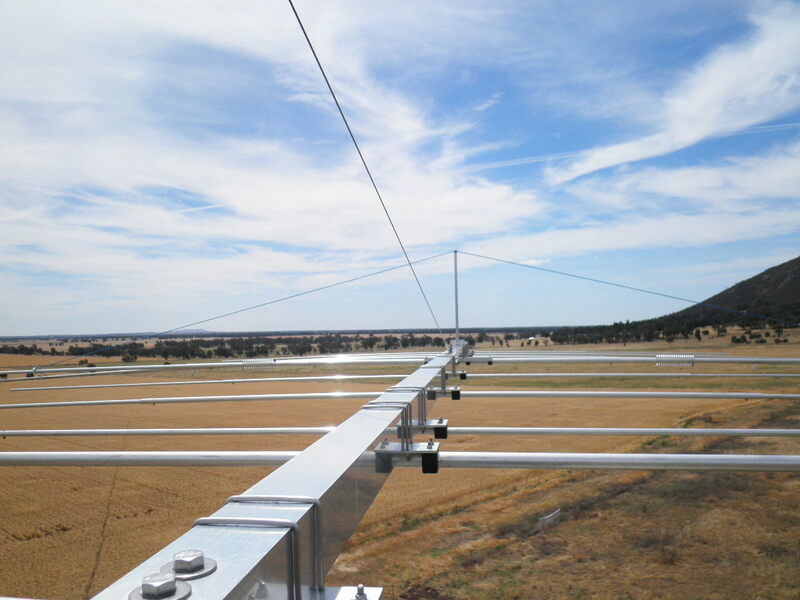 The Optibeam OB 17-4, is a 17 element quad band yagi. There are 3 elements on 40m; 4 elements on 20m; 4 elements on 15m and 6 elements on 10m. The antenna weighs 100 Kg. It is an extremely high quality, very powerful unit. Image Below : Werners (DF6MK) Report about my reception of his 1 mW (milliwatt) signal on the 14 MHz WSPR freq. Image Below : Report from W3DRK about my reception of his 10 mW, 14 MHz signal on the Long Path. 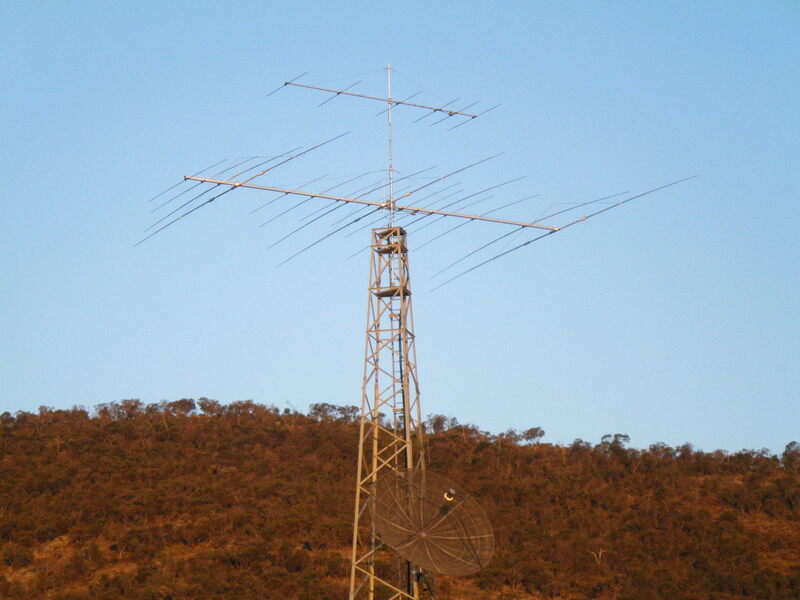 *UHF antenna - Hills SFX91WB Fringe yagi at 55ft. *VHF antenna - Matchmaster 18 element, 3m boom at approx 47ft. *Both have seperate low noise pre-amps ,1.6dB nf. 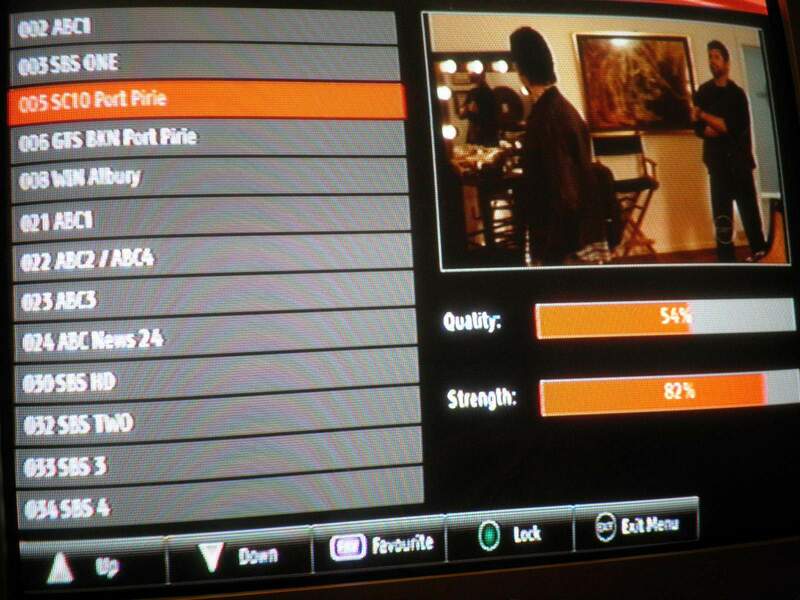 Came to the conclusion that Digital TV DX on VHF and UHF is very difficult, mostly due to how much signal strength is required to produce a picture. 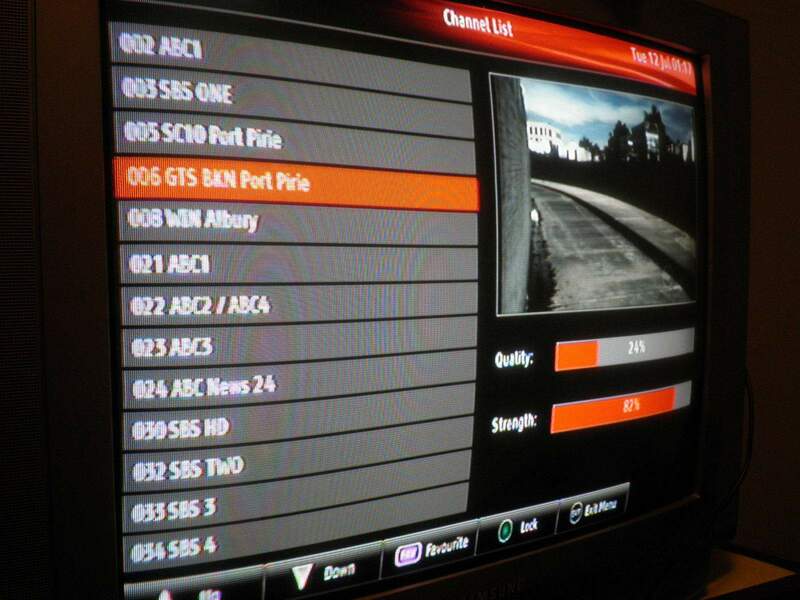 11.07.11 - Tonight I RX'd my first real DX Digital TV signals. 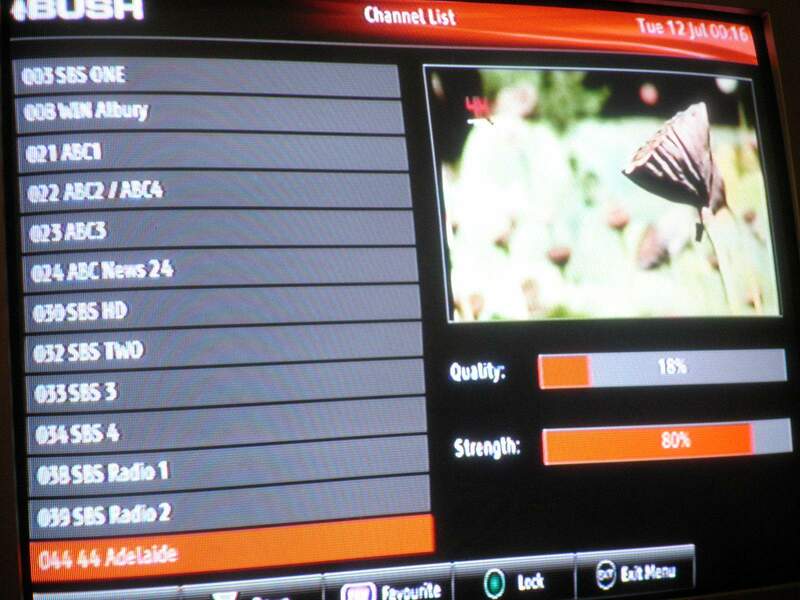 These Digital TV DX signals were heard using a BUSH set top box. and two Hills TV fringe antennas, VHF & UHF fed into a combiner / pre-amplifier. Antenna height 20ft.